WILLIAM J. NEVILLE is a founding member of the firm where he focuses on real estate litigation, solving problems and increasing revenues for residential and commercial property owners and the real estate industry. The practice includes Landlord/Tenant summary proceedings in New York City Civil Court, lease disputes in Supreme Court, appeals, commercial lease preparation and negotiations and Bankruptcy Court matters. 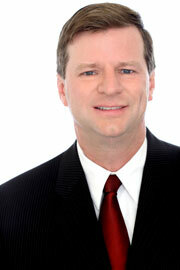 Mr. Neville was formerly a partner in Finkelstein, Borah, Schwartz, Altschuler & Goldstein, P.C. and started there in 1984. Clients represented by Mr. Neville include Extell Management, Ogden Cap Properties (Milstein), Manocherian Brothers, Community Access, Inc., The Brooklyn Navy Yard, George A. Bowman, Inc., Property Markets Group, GFI Management, Lavin Brothers, Highgate Hotels, The Inns of New York, Noam Management, Gotham Assets, Kostas Zachariadis and The Reformed Church of America. Mr. Neville is a graduate of Fordham University School of Law(1984) and Fordham College. Mr. Neville is on the Board of Advisors of the New York Apartment Law Insider, is a member of the New York State Bar Association, the Landlord-Tenant section and the Cooperatives and Condominiums section, the New York County Lawyers Association, the Association of the Bar of the City of New York and the Regis Bar Association. In connection with his bar association work, Mr. Neville has evaluated the qualifications of numerous judicial candidates. Mr. Neville is a member of owner organizations Community Housing Improvement Program and Rent Stabilization Association and has given seminars for those organizations. Mr. Neville has taught continuing legal education courses for RSA, CHIP and the New York County Lawyers Association. Mr. Neville is admitted to practice in the United States Supreme Court and the United States District Courts for the Southern and Eastern Districts of New York. Mr. Neville resides in Port Washington with his wife and three boys.